Loyola University and Senn High School partnered up in 2012 in order to help Senn become one of the best high schools in Chicago. In 2012 Mayor Rahm Emanuel went to Chicago universities and asked them to partner up with high schools. Loyola decide to partner with Senn in that year. John Slania, Associate Dean of the School of Communication at Loyola University, said “Senn is special because of the students.” Prior to the partnership with Senn, Loyola partnered with other high schools where Slania had less than ideal experiences. “Sometimes at the other schools, the students would talk over me while I was talking. Senn is different. The students pay attention,” said Slania. When Loyola and Senn partnered up, the McCormick Foundation, which is a part of Chicago Tribune, decided to fund the projects. Slania said Loyola gets $50,000 in grant money to benefit the program. Loyola uses some of the money to pay Evan Gutierrez (a liaison between Loyola and Senn), some goes to books, some is going to building a broadcast studio at Senn. 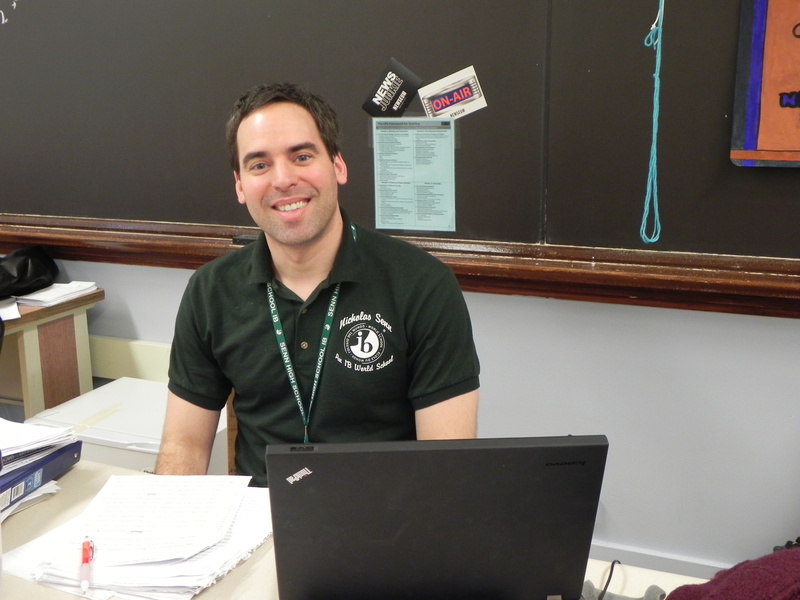 Loyola’s Charles Tocci also serves as a faculty coordinator to Senn. Senn High School Principal Susan Lofton said of the relationship, “It was a pleasant surprise. 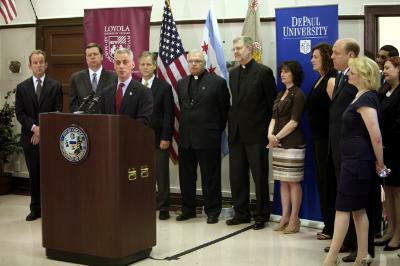 The mayor’s office was working on getting universities to partner with high schools, so Lake View High School partnered up with DePaul University, and Senn partnered up with Loyola at first.” Lofton worried at first that the partnership might not “bear fruit” because other partners in the past didn’t work out, but so far Loyola has been incredibly successful. Lofton said the Journalism Program and the Environmental Science Program are a means of getting students that are not in IB involved in sophisticated programs. Lofton would like to develop the newspaper at Senn this year, but she does not want students writing about light topics such as who Justin Bieber is going out with. She said journalism is an important part of society because people need to stay informed and on the world around them. She hopes the students will write about global issues such as politics and terrorism. With the great team Senn High School’s Journalism Program has: John Slania, Evan Gutierrez, Susan Lofton, and Michael Cullinane, they will surely go far in the future.